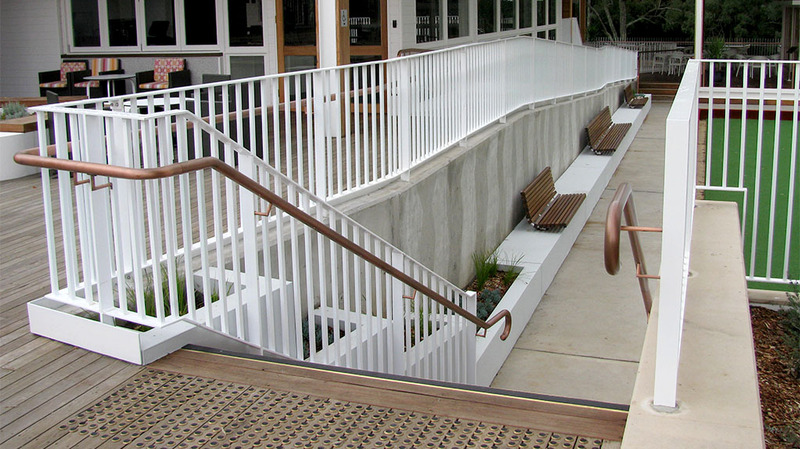 For this historically and environmentally sensitive project, we crafted a diverse range of materials to fabricate and install architect-designed balustrades within a tight delivery schedule. 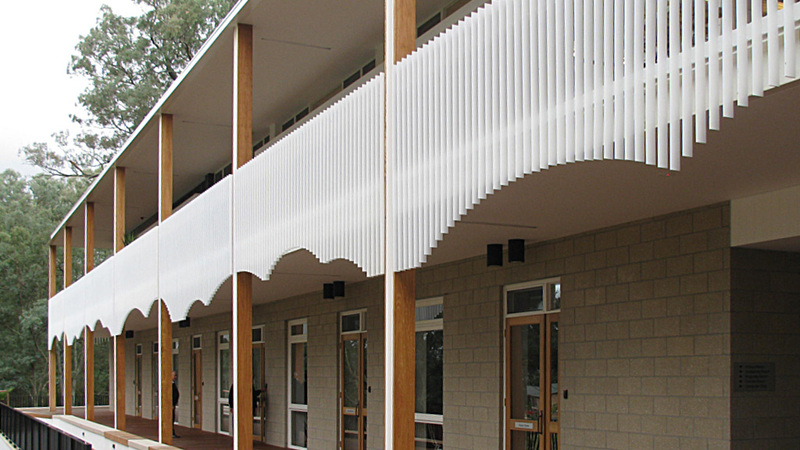 Our work formed part of the 19th century Carrington Centennial Care Centre’s upgrade of its Recreation and Leisure Centre. The feature balustrade’s undulating form, comprised of precisely aligned coated mild steel flat balusters, imitates rolling hills, blending sympathetically with surrounding gardens and bush lands. The inclusion of kidney shaped voids provides a view to the lower floors and enables free flowing pedestrian access. A copper theme runs throughout the building, featured in the stainless steel handrails, benches and trims, which are finished with a special antique coating. 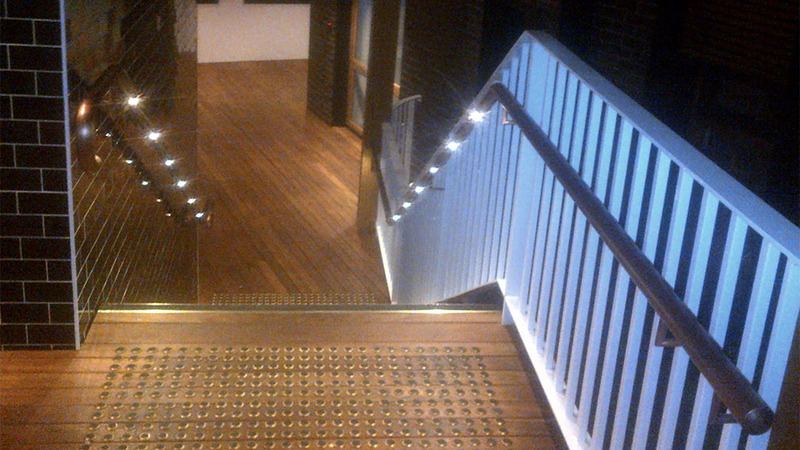 LED lighting is embedded in the handrails, illuminating the walkways and giving a stunning visual effect to the finish.